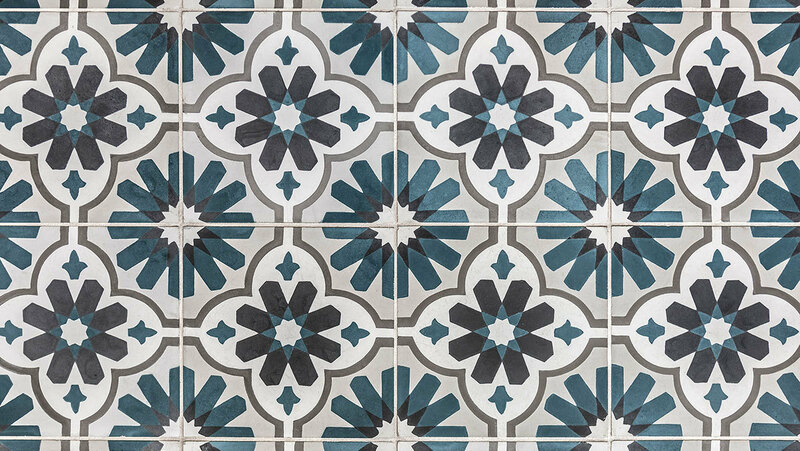 Patterns are a tile lover's dream. Make them bold, colorful, subtle, fantastical, quirky, fun - however they speak to you. 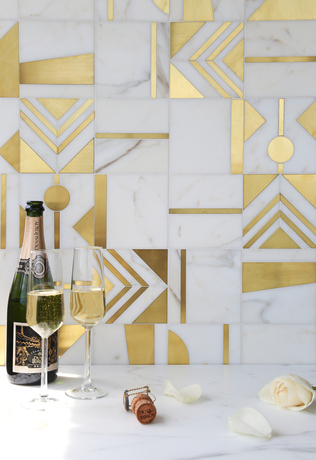 Marble and brass make a stunning, sophisticated pair. 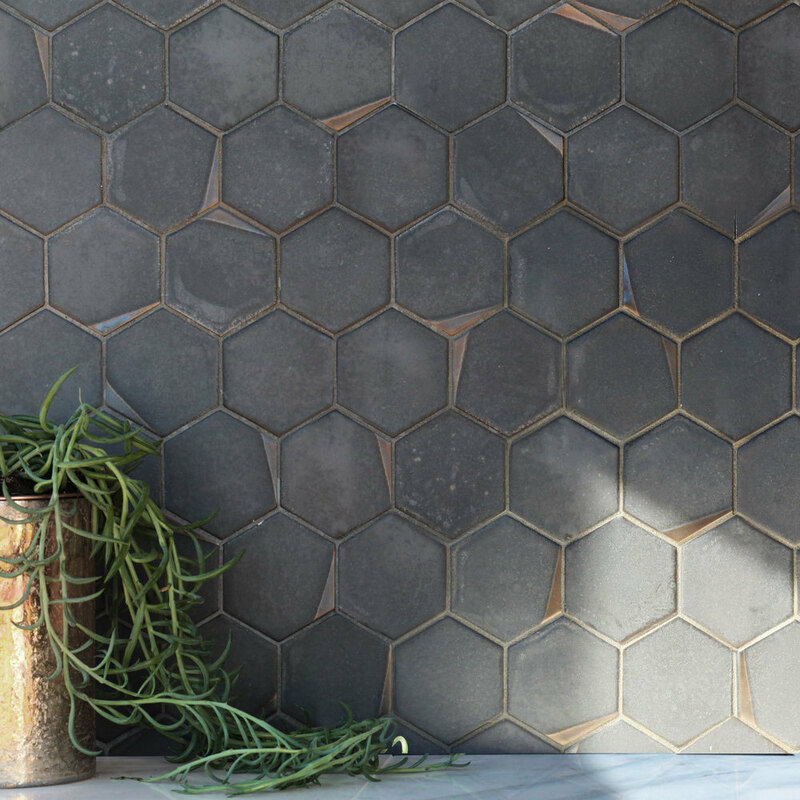 Simone mosaic by New Ravenna shown here in honed Calacata Gold, honed Thassos, and brushed Brass. Don’t forget to look down! 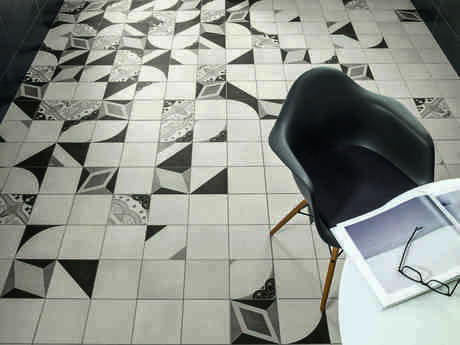 Floor tile doesn’t have to be square. 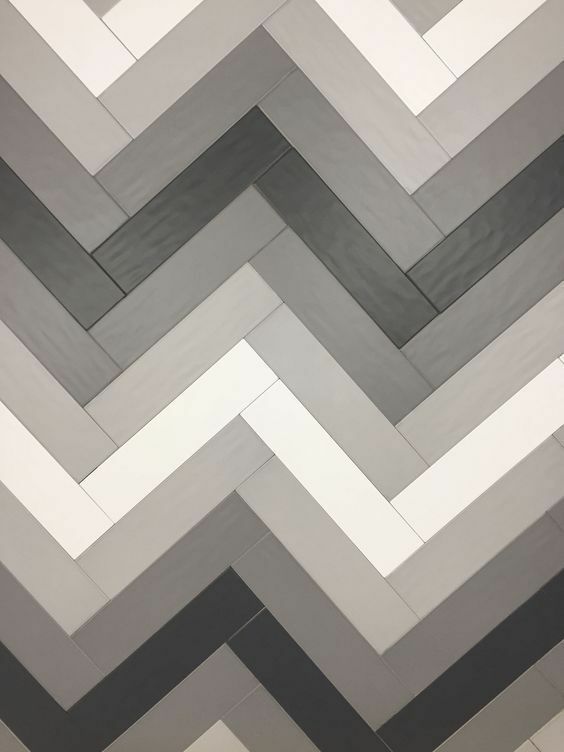 Take a cue from this fun restaurant floor, covered in Arto Studio Field – 8x8’s and 4x12 Pickets. Patterns don’t have to be bold. This Triangle Kilim pattern by Encore Ceramics has a soft quality, almost textile in nature. Just makes you want to snuggle up!